Tetsujin 28-go is a Japanese manga and anime about a boy who controls a giant robot. You might know it as Gigantor. It was also released in South Korea, where the gentleman who owns this restaurant fell in love with the cartoon. Bless him. As tipster Sang points out, the name of this restaurant is "Tetsujin Chinese Restaurant", and it serves, well, Chinese food! And the food looks pretty darn good. But what makes the restaurant truly unique is that it houses the owner's collection of giant robot memorabilia, old plastic models, board games, and radio controlled vehicles—in short, genuinely cool things. There's lots of neat Japanese things! 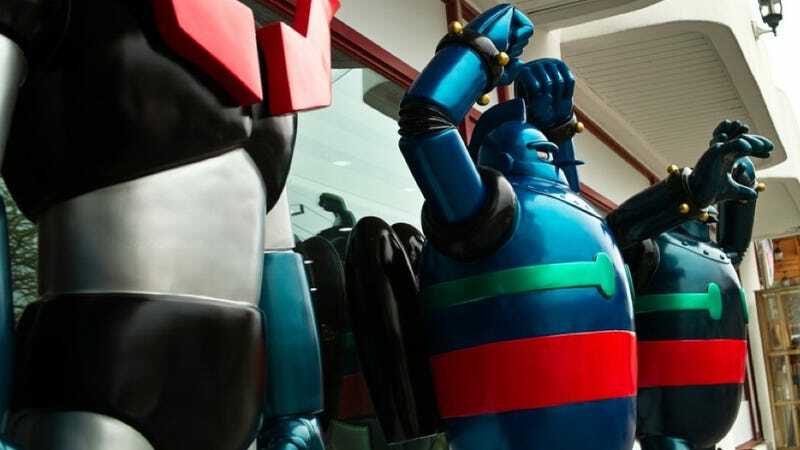 Let's see...there's Tetsujin 28-go, Mazinger Z, Astro Boy, Ultraman, and much, much more. It's somewhat reminiscent to that other South Korean restaurant that's also dedicated to the owner's amazing collection. If you are in South Korea and interested in visiting, check out Tetsujin Chinese Restaurant's website. Thanks, Sang for the tip! Photos: CampingFamily, 산타냐, bluecaj To contact the author of this post, write to bashcraftATkotaku.com or find him on Twitter @Brian_Ashcraft.